Spring in New York City means the resurgence of outdoor strolls, outdoor drinking, and most importantly, outdoor reading. The city has a plethora of reading spots, but by far the largest is Central Park. With 843 acres to roam, it may be difficult deciding where to hunker down with a book, so here are some of our favorite spots paired with complementary reading recommendations. 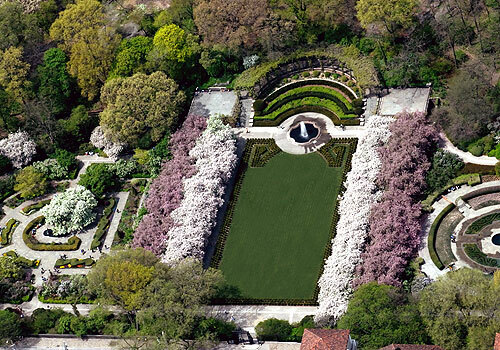 The only formal garden in New York City, the Conservatory Garden is divided into three distinct sections that each hold a variety of plant life unique to the soil. This is the perfect area to read Nathaniel Hawthorne's famous short story "Rappaccini's Daughter," which touches upon the discrepancies between the natural world and our need for scientific exploitation. The fictional garden in Hawthorne's story is teeming with poisonous plants that the heroine, Beatrice, has become immune to — and you'll start to feel the same way, surrounded by the Conservatory's hundreds of plant species. Around the turn of the century, the Mall was used by wealthy city dwellers who took flashy carriage rides through the park on their way to Bethesda Terrace. The Literary Walk is at the southern end of The Mall and houses incredibly serious-looking statues of William Shakespeare and Robert Burns, to name a few. While walking up and down the shaded path, you could read Robert Burns' "Peggy," an ode to strolling with a former love. This Victorian bridge is an obvious gathering point for lovers, as its secluded pathway is shadowed by extravagant foliage and breathtaking views. 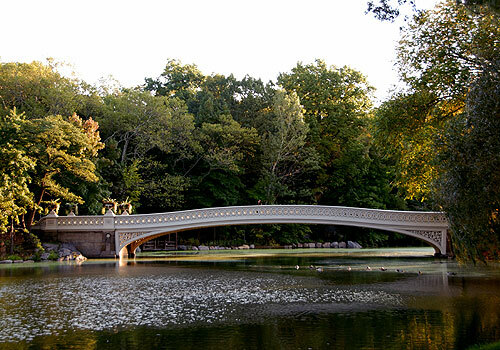 The Bow Bridge is also home to many love scenes in the film world, and anyone from Jane Austen to Eliza Haywood would benefit from the supplemental scenery. Take out your leather-bound copy of Sense and Sensibility and wait for your next Mr. Darcy to arise in the form of a Missed Connection. The essay collection by Ron P. Swegman entitled Small Fry: The Lure of the Little, uses the Harlem Meer's history of fly fishing as the site of his short stories. Swegman, who's written multiple works about the blessings of outdoor writing, uses the theme of nature in urban cities as a predominant theme. 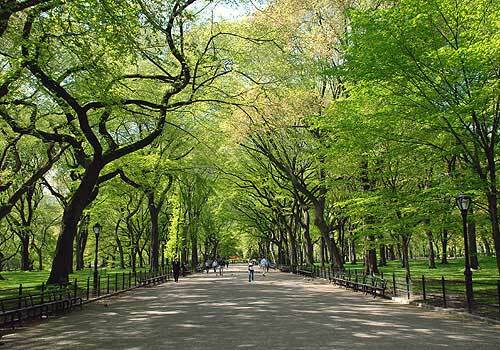 Places where the city and nature intersect are ideal spots to engage in the phenomenon of embracing natural landscapes, especially considering that Central Park is indeed man-made. 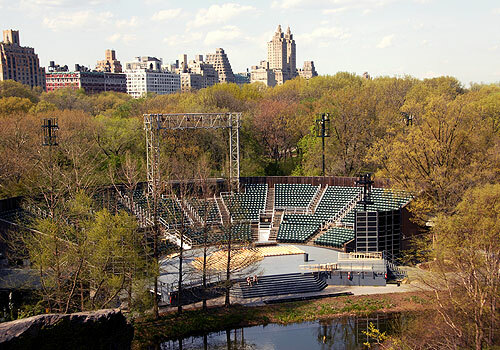 The 1960s marked an increase in the "Events Era" of Central Park, and the Delacorte Theater has maintained the tradition of having two scheduled Shakespearean performances annually during the summer season. There are hundreds of nooks along the periphery of the theater where one could enjoy the solitude of their own thoughts and their own reading of plays, or watch for free the adaptations of these famous works. A Tennessee Williams or Lorraine Hansberry reading would pay refreshing homage to the age-old tradition of performance in the park. 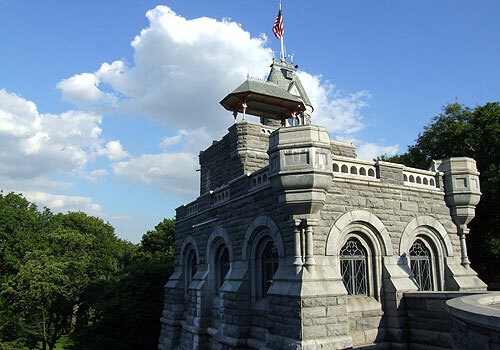 It wasn't until 1919 that Belvedere Castle became more than just a stunning facade, and now it's still used today by the National Weather Service to collect weather-related data. Designating this area as home to scientific research and collection makes this castle perfect for fans of sci-fi and fantasy to honor their beloved stories. 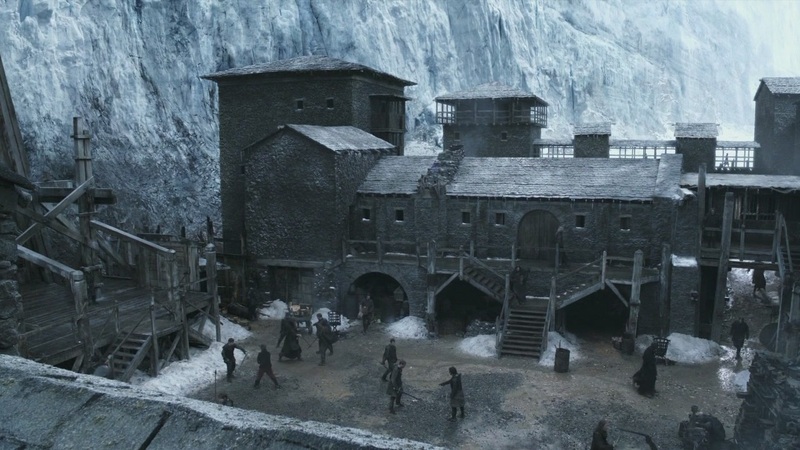 Besides, doesn't it look straight out of Westeros? Henry David Thoreau would have thoroughly enjoyed the Reservoir with all its ecological sanctuaries. Walden is a satisfying companion on a trip to the Reservoir, where you can sit along the bridle path and enjoy the coming of spring in all its simplicity as Thoreau would have intended. The Reservoir is certainly a sanctuary within a very rigid society, and while we aren't pushing simple living and evading taxes, sometimes it is best to appreciate the simple things. 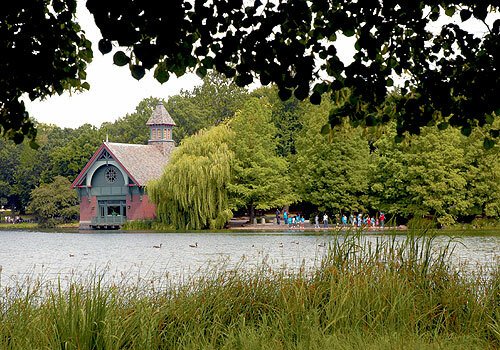 In the 19th century, the Central Park Dairy was used as grounds to serve young children milk and small snacks near the pond. 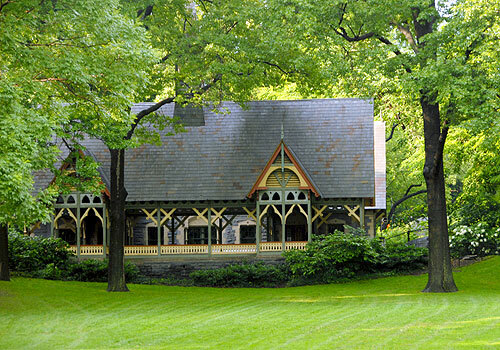 Today, it resides as an information center near the lower entrance of the park on 65th street, and was rebuilt using historical photographs of the original Spring Dairy. A reading of Little House on the Prairie seems appropriate at this venue. Best of all? No diphtheria! Credit: Flickr user Ken & Nyetta. Used with a creative commons license. Central Park images: centralparknyc.org.